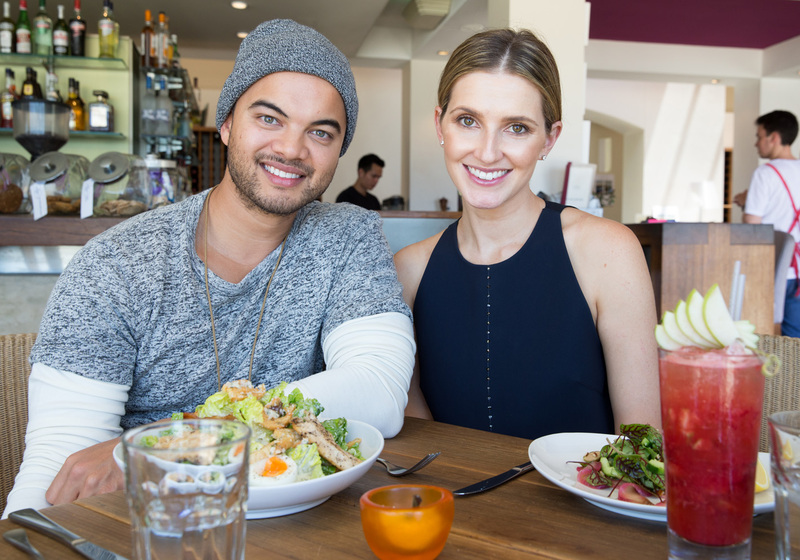 Guy Sebastian has built on his Australian Idol win in 2003 to become an enduringly popular performer. He recently finished as a judge on television’s The X Factor and is now working on a new album. Sebastian, 35, chatted to me about fatherhood, the tragedy behind his latest single, and why he’s no longer trying to please everyone. My new album. I finished part one just a few days ago and I’m kind of continuing to work on part two, which will be released after … I’m mainly writing, recording, building a home and working on my next tour – that’s pretty much my life. What was your inspiration behind your new single Set In Stone? It’s a bit of a sad one. I was in Bali and there was an accident right in front of me, and it was a fatal crash in the end. I ended up on the side of the road holding this kid’s hands as he took his last breath and it affected me quite a lot … Later on that night I started to process [it] and I started to write and that’s how the melody came about. Did you see this song as a tribute to this person? Not really. When I wrote it, it was actually about family, my kids, Jules [his wife] … It was basically saying the things “set in stone” – the people that are there forever. Did you enjoy this season of The X Factor? I always enjoy it; I always enjoy being part of something that affects lives. It does definitely give people a big boost … I look at Sammy [Samantha Jade] and she was doing stock take in a warehouse and she has this amazing voice; and Johnny Ruffo, who was a concreter in Perth and he’s become quite a personality now; and Reece Mastin, who’s touring all over the place and recording amazing music. Also the people like Dami [Im] and myself who went on a show like this and hopefully prove to people that we deserve a spot in the industry. It’s been a really, really good journey thus far. What was it like to work with Iggy [Azalea]? I’ve really, really enjoyed being on the panel with Adam [Lambert] and Mel B [Brown]. We’ve had a lot of fun and I will miss them. How has reality TV changed since your time on Australian Idol? It’s changed so much. When I did Idol, it was a first. We didn’t know what we were getting into. I was this weird-looking chubby guy with an afro – and all of a sudden, I had people camped outside my house with signs “I love Guy”. Now it’s an avenue to get into the industry; the “reality” has been taken away a little bit. Who are your musical mentors and influences? … Sam Cooke and definitely Otis Redding, who were probably the two reasons I got into music in the first place. In my teens I really got into the Beatles and I listened to a lot of gospel music as well. Knowing that what you’re doing at the moment is what you’re supposed to be doing. Not sitting wishing you were doing something else. I would say just learning that I can’t please everyone. In normal life you don’t have many people that are staunchly against you … Suddenly I became famous … and everyone was kind of at me. I came from a pretty sheltered background who went to church and then suddenly the church people were up at me and I wasn’t churchy enough, and then the industry was at me that I wasn’t wild enough. And so I was just in this mode of desperately trying not to offend anyone. I found after a while I was OK with being who I am and people don’t actually know me, and I think that was the best thing to do. What else do you want to achieve in life? I would love to do what I’m doing forever, whether it be in a studio writing or producing or touring. You sit for so long and do such long hours in the studio, you stress about the sound and direction of youralbum. Then you finally release it and see your fans enjoying it and singing back to you, that’s the moment when all your hard work just pays off. I still never get used to it when people cry at my show; it just reminds me about music and the impact it can have on people and the memories it can invoke, and that’s really healing for me. Once again, I think everyone having an opinion on you and trying to please everyone – when not everyone is going to like you. I’ve just realised that not everyone is going to like you. Also, after having kids, that changes your perspective. What they think of you is the only thing that matters. It changes you in every way. It gives you a greater purpose in life. You not only worry about them but also the world around them – politically, environmentally, everything! Cuddles! Doesn’t matter if you’ve had the worst day, everything is OK when you see them. I think Hudson might … they both like to sing but Hudson has better pitch at the moment [laughs]. What have your learnt from your marriage with Jules? So much. She is amazing, she is so understanding of everything I do. I think some people think musos are dumb [laughs]. I once had a girlfriend who broke up with me because I was a muso and her dad was convinced I was not going anywhere. 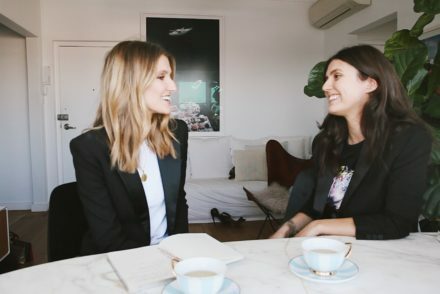 I’ve been working really hard with the Sebastian Foundation, which is doing some amazing things … much-needed work across women’s shelters in Sydney and looking to expand across Australia. Domestic violence is a huge ongoing problem [so we are working with a] lot of these [shelter] homes to give them what they need, make it a place that these women can go to feeling safe, loved.